With nearly one-third of the world population using the internet, more and more opportunities are arising for people to communicate and for companies to reach new markets. Adapting an e-commerce website to a new locale has become an essential way for online businesses to survive and thrive in new markets. In an insightful post from the GPI Translation Blog, we learn first hand some of the strategies that go into localizing a website for a new locale; specifically Brazil. 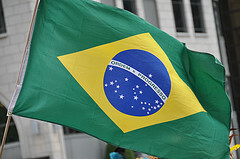 Brazil will be in the world spotlight in the coming years with the 2014 World Cup and the 2016 Summer Olympics in Rio de Janeiro. China gets the headlines as the next economic superpower, but Brazil lies-in-wait as another market ready to explode. With a current base of 50 million Internet users, Brazil presents an excellent business opportunity for companies. But what specifically must be done to sell to these new consumers? Selling strategies in the United States do not stick in Brazil; new approaches must be developed. The Internet is predominantly used by upper and middle-classes, but government initiatives have worked to gain funding for Internet cafes to help lower income groups have Internet access. Brazilian society places high importance on looking good and appearance. Brazilians prefer goods made within their own country whenever possible. Decision-making power for Brazilian women has increased. Brazilians are often budget-conscious and look for the absolute best value they can find. Latin cultures place great emphasis on family and community, Brazil included. Brazilian culture values masculinity which can be depicted as achievement, success, adventure and fun. When localizing a website for Brazil, consider many of the spelling and verb tense differences within the two main Portuguese dialects. As all marketing strategies go, Brazilian SEO campaigns need to be multidimensional. Be advised that while focusing on Portuguese search terms is important, bilingual users also use English to search and navigate the Internet. Keywords and key phrases need not just be translated. Cultural and linguistic issues affect what people search for.